Doctors are set to lose the power to regulate themselves and senior medics will face regular MOT-style checks under a planned shake-up of regulation. The overhaul, which will now be debated by parliament, has been announced by ministers following the Shipman murders and other medical scandals. A stricter system of death certification is also to be introduced. The General Medical Council is set to lose its power to adjudicate on fitness-to-practise cases. The GMC will also have to change its membership to 50% doctors, 50% lay people in a move away from the much criticised profession-led regime. Similar systems are being introduced for the other eight health professional regulatory bodies, covering the likes of dentists, pharmacists and nurses. The proposals - the biggest overhaul of regulation in a generation - have been made by the government in a white paper and response to recent cases where patients have been harmed by doctors. 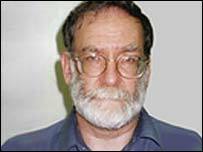 Dr Harold Shipman, from Hyde in Greater Manchester, murdered more than 200 people over a period of 23 years. Dame Janet Smith, who chaired the inquiry into the case, accused the GMC regulatory body in her 2004 report of being more interested in looking after doctors than protecting patients. She did not blame the GMC for failing to detect Shipman's killing spree but said the culture in the medical profession was to focus on doctors' interests. The medical profession has also come under fire following other scandals, such as Clifford Ayling, a Sussex GP who sexually abused patients. Senior doctors such as GPs and consultants are to face five-yearly MOT-style checks, known as revalidation. Medics who fail the tests will have to undergo retraining and supervision and may even be struck off the medical register. The GMC is to lose its power to adjudicate on fitness-to-practice cases, which will be considered by an independent body. Such cases will also be judged on a civil standard of proof - on the balance of probability - albeit with a sliding scale depending on the seriousness of the allegations. At present, they are based on the criminal standard - beyond all reasonable doubt. The GMC will be left to concentrate on investigating complaints against doctors - but will not be responsible for deciding on sanctions. However, the GMC will be allowed to keep control of undergraduate education - despite Chief Medical Officer Sir Liam Donaldson calling last year for it to lose that responsibility. All regulators will be expected to move towards at least a 50:50 split between lay and professional members. NHS trusts will have to appoint a "medical examiner" to sign off all death certificates filed by doctors. At the moment, this only happens routinely for cremations. Health minister Andy Burnham said he hoped the proposals would settle once and for all the controversies over doctor regulation. "Patient safety is the overriding concern. It is crucial to ensure the systems we are imposing ensure the confidence of patients and the wider public and command professional confidence." Sir Liam said MOT-style checks would correct the situation where doctors can go their whole career without facing assessment whereas an airline pilot can expect 100 checks over the same period of time. He said: "I am confident that the proposals will set out a framework through which patients, the public, professions and government secure a new settlement that assures the safety of patients." Mr James Johnson, chairman of the British Medical Association, said the profession had worked for several years to introduce revalidation checks. However, he said the proposals for reform of the GMC cast doubt on the whole concept of professionally-led regulation. "The protection of the public is absolutely the prime concern, but equally it is very important for the public that doctors feel that they are the patient's doctor, and not the state's doctor." Professor Ian Gilmore, president of the Royal College of Physicians, welcomed the proposals. "Patients need to know that their doctor can treat them safely and to a high clinical standard - the new national framework will give both doctors and patients more confidence in the regulatory system." Sir Graeme Catto, president of the GMC, welcomed the plans, and said it was important that the public had confidence in the regulatory process. However, he denied that the GMC had put doctors' interests ahead of those of the public. Will reforms make doctors more effective?